Welcome to The Anaplan Way! To travel a new path—whether you’re going across town or around the world—you want the easiest and most efficient route, created by an expert guide with extensive experience. Just like a smartphone helps you navigate an ideal route, the Anaplan Way is here to guide you on the journey of implementing Anaplan applications and, ultimately, running a smart business. Customers who work with us quickly learn that the Anaplan Way is more than a methodology or framework to implement Anaplan applications; it’s a philosophy and a way of working that is truly transformational. 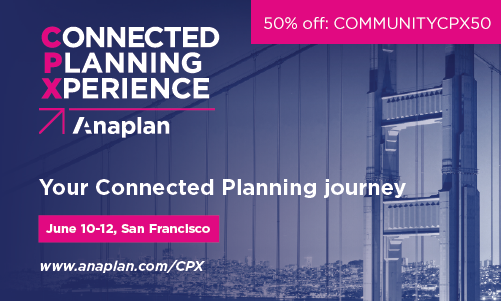 With the Anaplan Way, collaboration, prioritization, and broad-based buy-in come before project planning. We want to understand, and help our customers articulate, the strategic vision for their application. (“Measure twice, cut once,” as the saying goes.) The Anaplan Way follows a structured flow of events with specific phases and milestones, but because changes inevitably crop up during a project, the Anaplan Way is also flexible and adjustable. What’s next? Get to know The Anaplan Way, ask questions of the experts, and start making The Anaplan Way your new approach to smart business planning. Anaplan partners and employees: Looking for materials to support your implementation project? Visit The Anaplan Way Resource Materials to download the materials. Checkout these exclusive videos featuring Simon Tucker, Anaplan's Chief Planning Officer, and hear his insights on The Anaplan Way. Anaplan Partners, are you ready to introduce a customer to the Anaplan Way? Share this page with them! Have thoughts on The Anaplan Way? Want to share your story? Join us in The Anaplan Way conversation to have your voice heard! Latest Topic - Where do I register? Latest Post - Re: RE: Where do I register?